Originally posted: September 9, 2016 . Last modified: April 18, 2019 . 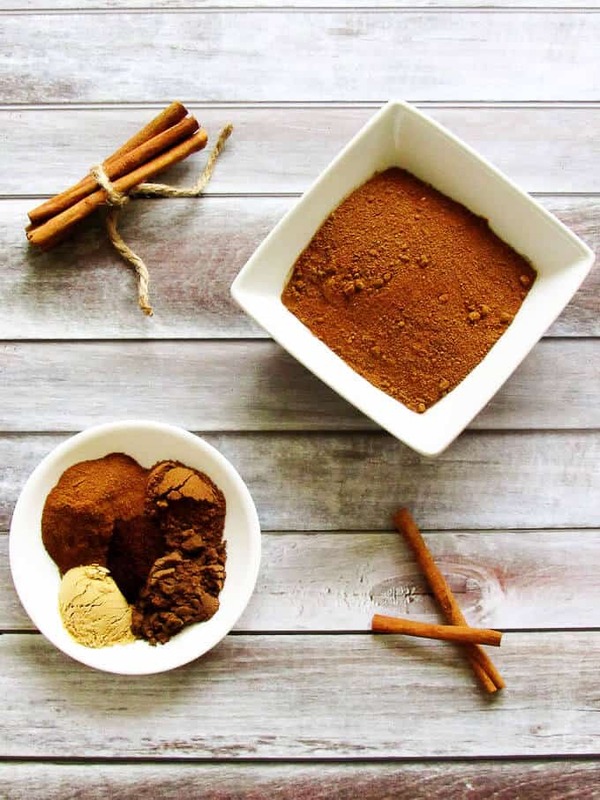 Homemade Pumpkin Pie Spice is an earthy spice combination of cinnamon, nutmeg, ginger, allspice, and cloves. Add it to breads, pies, and cookies for an instant flavor of autumn. In a couple of weeks, autumn will be here. The sun’s rays have already started to change, and the temperatures are slightly cooler. The skies are turning a beautiful, deep blue, and the air is light and breezy. Autumn is my absolute favorite season. A few years ago, I found another reason to love fall. 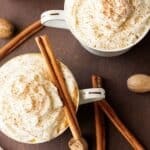 Those trendy Pumpkin Spice Lattes from Starbucks and my husband’s pumpkin pie. Before those two tasty treats entered my life, you couldn’t get me anywhere near pumpkin flavored foods or drinks. 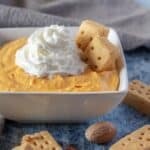 Now, I’m completely obsessed with pumpkin flavored everything. In an attempt to “scratch my new pumpkin itch,” I’ve been baking a lot more, and as a result, we’ve quickly run out of pumpkin pie spice. Buying multiple bottles of the flavorful spice gets expensive, plus it’s a little annoying to make extra trips to the supermarket. My husband recommended making homemade pumpkin pie spice in bulk and storing it in a jar for later use. Unbeknownst to me, he’s been making his own mix for years when he makes pumpkin pie. Making it from scratch makes a lot of sense because you can adjust the spices to your tastes. If you like extra cinnamon, add a touch more cinnamon. If the cloves are a little too strong, cut them back a little next time. 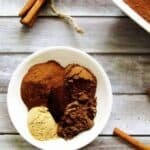 Homemade pumpkin pie spice is very versatile, and you can make as much or a little as you need. Mix the cinnamon, ground nutmeg, ground ginger, allspice, and ground cloves in a small bowl until well combined. Pour the mixture into a small jar or airtight container. 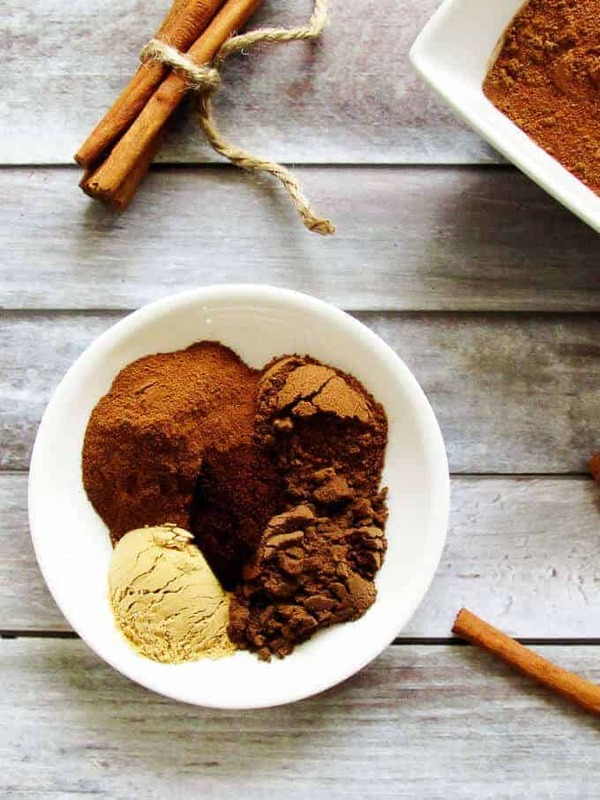 Store the homemade pumpkin pie spice in a cool, dry area for up to 3 months. 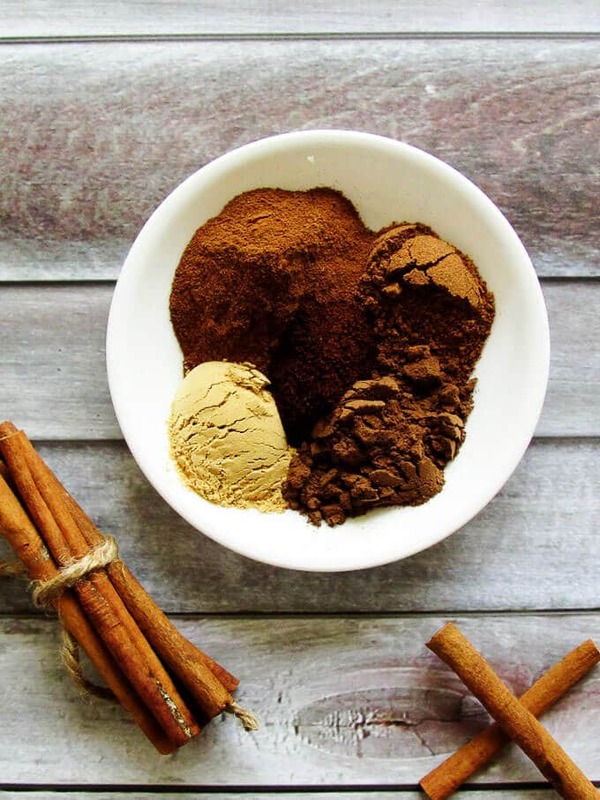 Pumpkin Pie Spice is an earthy spice combination of cinnamon, nutmeg, ginger, allspice, and cloves. Add it to breads, pies, and cookies for an instant flavor of autumn. Place spices in a small bowl and stir to combine. Pour the mixture into a jar or airtight container with a lid. Store the pumpkin pie spice for up to 3 months. *Homemade Pumpkin Pie Spice can be made gluten free by using gluten-free spices. I use Badia brand spices. *Calorie count is for the entire recipe. Thank you! I hope it works well for your recipes!